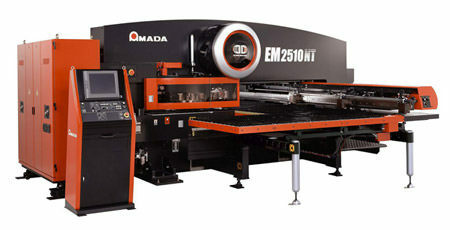 Custom automated laser cutting is among the most effective processes for cutting plate or sheet metal for fabrication. 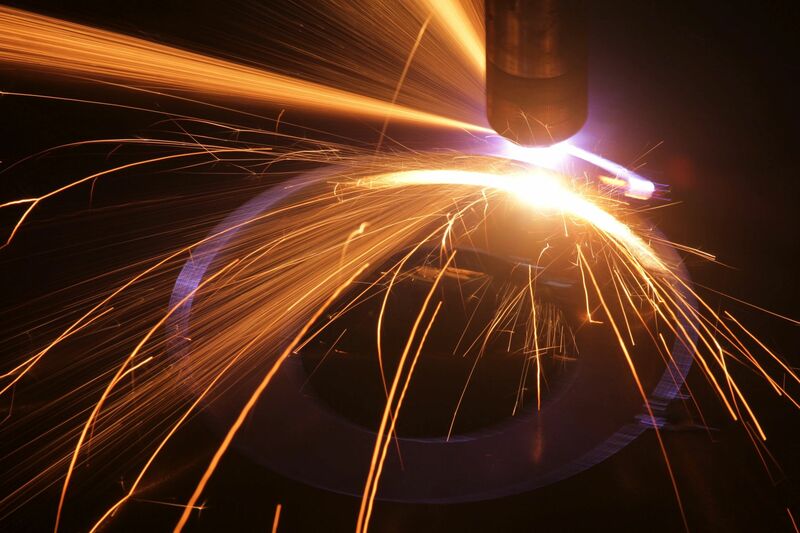 Steel, stainless steel, brass, aluminum, nickel, and titanium are just a few of the metal materials that are ideal for laser cutting. No matter what metal your project needs, these sophisticated tools can cut it with a precise, high quality edge. Precision: This technology allows us to cut precise and accurate geometric shapes, no matter how irregular or unusual they may be. Efficiency: Zero set-up time and around the clock, unattended processing capabilities are perfect for long runs. Flexibility: The speed and flexibility of our laser systems give our clients a low-cost sheet metal cutting solution, and low-impact set-up means that adjustments are easy to make. 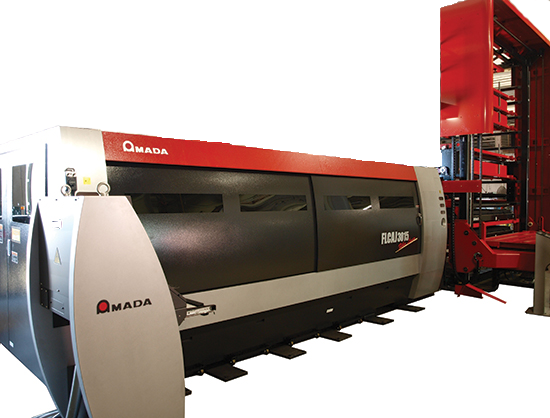 Cost Savings: Our laser cutting equipment is fully automated. Combined with its high precision, efficient operation and easy set-up, clients get top quality while cutting costs significantly. Our automated CNC sheet metal punching turrets can process the most intricate formed features, perforations and patterns with high speed precision. Sheet metal punching is the most efficient way to produce precision fabricated metal products with many holes. For over 30 years, Fabtech has been a top choice for sheet metal punching in Spokane and in the United States. CNC (Computer Numerical Controlled) Machining is a means to remove material using high speed, precision machines that use a wide variety of cutting tools to create the final product. Common CNC machines include vertical milling machines, horizontal milling machines, and lathes. 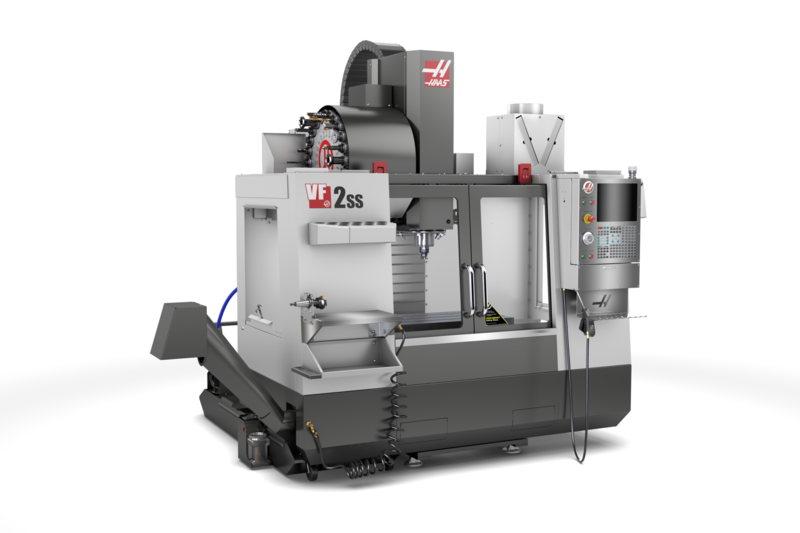 On a multi-axis CNC milling machine, the cutting tools move while the stock remains fixed. More complex cylindrical shapes can be more cost effectively manufactured using a CNC lathe with live tooling in a process known as CNC Turning. Material selection is critical in determining the overall functionality and cost of a part. The designer must define the material characteristics key to the part’s design – hardness, rigidity, chemical resistance, heat treatability, thermal stability, and so on. Using the latest CNC machines, Fabtech produces highly accurate parts on time, everytime. Offers high-precision tolerances ranging from +/-0.001″ – 0.005″, depending on customer specs. Choose your metal. Fabtech offers a wide variety of certified materials. Select from a variety of finishes on solid metal parts, built to precise design specifications. From simple brackets to multi-functional parts, once a model is in place, our Computer Numerically Controlled (CNC) systems not only ensures accurate and consistent cuts, it stores your data, should you require additional product in the future. That’s just one example of our ample resources. We provide CNC machining services for metal part manufacturing in numerous industries; the military, medical equipment, electronics, and the motorcycle industy being just a few. Our CNC machining services are capable of handling high volume production runs. We are well outfitted to work with a variety of metals, including cold rolled steel and stainless steel as well as nonmetallic materials. Fabtech is the premier forming choice among our customers. Our late model CNC press brakes ensure precision bending and forming. The latest programming software gives us off-line programming capabilities, minimizing set-up and lead times. Our forming expertise, combined with our laser cutting, welding, machining, finishing and assembly capabilities, makes Fabetch the best choice for your metal fabrication and contract manufacturing needs. Let Fabtech ensure that your projects are always on time and to specification! When it comes to your welding needs, look no further than Fabtech! Our talented team is well trained, AWS certified, greatly experienced and highly skilled in all types of metal joining. We not only do both MIG and TIG welding, we do them exceptionally well. Fabtech’s prototype machining services provide an economical method of validating your product with rapid turnaround. If it’s a new product prototype development and testing or building service on aftermarket components we have the prototype machining process that will meet your needs in the timeline you need it to. Fabtech prototype machining specializes in prototyping, low volume production, cnc prototyping, service, and aftermarket production. Fabtech’s prototype machining service also has in-house testing capabilities from simple to complex prototype jobs allowing us to offer production capabilities throughout a product’s life cycle. Fabtech offers designers and engineers a variety of options for prototyping, 3D printed iterations, proof of concept development, and fit testing. Get started today by uploading your CAD model, input requirements, and Fabtech will quote your 3D printed model. The coating is typically applied electrostatically and is then cured under heat to allow it to flow and form a “skin”. The powder may be a thermoplastic or a thermoset polymer. It is usually used to create a hard finish that is tougher than conventional paint. Powder coating is mainly used for coating of metals, such as household appliances, aluminum extrusions, drum hardware and automobile and bicycle parts. Fabtech completes the task of manufacturing fully finished, quality enclosures by offering silk-screening, a process that provides required labeling for connectors, switches, ports, etc., along with adding special graphics such a company logos, product identifier graphics, etc. Our silk-screening process utilizes the latest in screen preparation technology, as well as using durable epoxy based inks, ensuring a high resolution and quality finish. Fabtech stocks a variety of standard colors, and can provide custom colors upon request. The clarity of silkscreen can be greatly affected by the texture of powder coat used. Generally for best results it is recommended you use a smooth finish. Silkscreen will work on various textures and colors but each situation is unique. 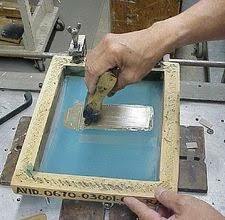 This may require modifications to your silkscreen such as changing of fonts and thickening of fine lines. Plating is a surface covering in which a metal is deposited on a conductive surface. Plating has been done for hundreds of years; it is also critical for modern technology. Plating is used to decorate objects, for corrosion inhibition, to improve solderability, to harden, to improve wearability, to reduce friction, to improve paint adhesion, to alter conductivity, to improve IR reflectivity, for radiation shielding, and for other purposes. There are several plating methods, and many variations. In one method, a solid surface is covered with a metal sheet, and then heat and pressure are applied to fuse them (a version of this is Sheffield plate). Other plating techniques include electroplating, vapor deposition under vacuum and sputter deposition. Recently, plating often refers to using liquids. Metallizing refers to coating metal on non-metallic objects. Electroplating creates a much stronger coating than painting, both in terms of corrosion resistance and limited degradation due to strikes. Additionally, because the metal expands and contracts at the same rate as the coating, it can be used in environments where temperatures can change drastically over time. Not only does electroplating coat standard products evenly, but it does so even for unique or oddly shaped products. 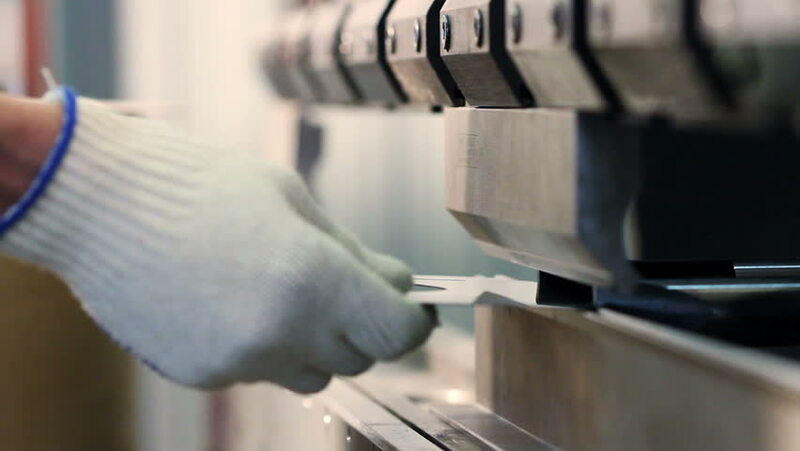 It is also easier to ensure a relatively even layer of a secondary metal, which is critical when the component has to fit into a system with tight tolerances. There are also several different metal options that can be used in electroplating. In parts that must be used in concert with others; chrome works as a lining that minimizes friction and wear and also adds an attractive look. Zinc is often used to protect against water damage and tin plating can help when joining dissimilar materials to sheet metal aluminum components. Another option is anodizing or sealing. In these finishes, a chemical reaction is induced in the outside layer of the aluminum to make it stiffer but also more brittle. It improves protection against solvents and other corrosives while being cheaper than electroplating. Passivation occurs naturally in some materials, which is why Stainless Steel doesn’t rust. A passive layer is merely a thin coating of the oxide of the base material. This layer forms over time through contact with air. A passive layer can also be grown purposefully by immersion in oxidizing chemicals.